Arabic mehndi designs or mehandi is a famous art amongst women in countries such as India, Pakistan, Bangladesh, and Middle East. Women decorate their hands and legs with beautiful Arabic mehndi designs on special occasions like a wedding or eid festival. The tradition of applying mehndi is deeply ingrained in their culture and history, that’s why, a traditional Indian or Pakistani wedding is incomplete without the infamous mehndi ceremony. 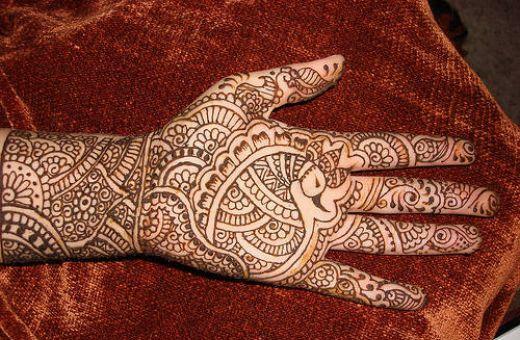 The tradition of applying mehndi or henna in hands and legs started in Indian, about 5000 years ago. 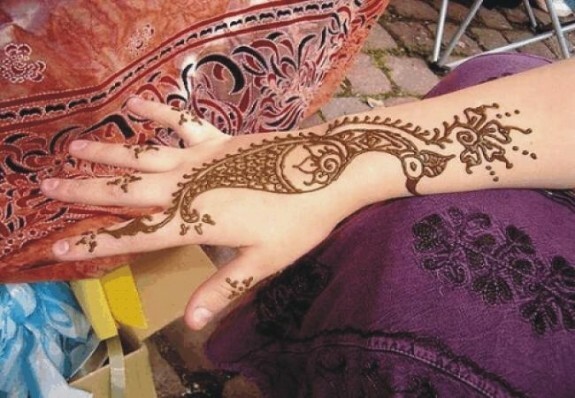 Arab women later catch on with the trend, and Arabic mehndi designs are born. 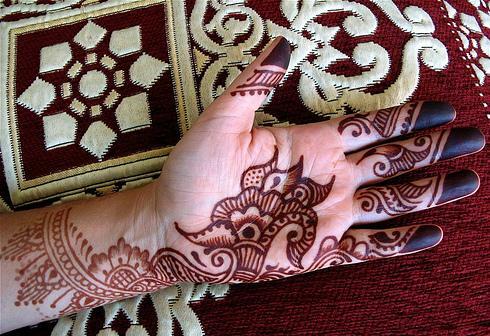 Mehndi applied not just on the hands and legs but also on the palms, shoulder, and back. 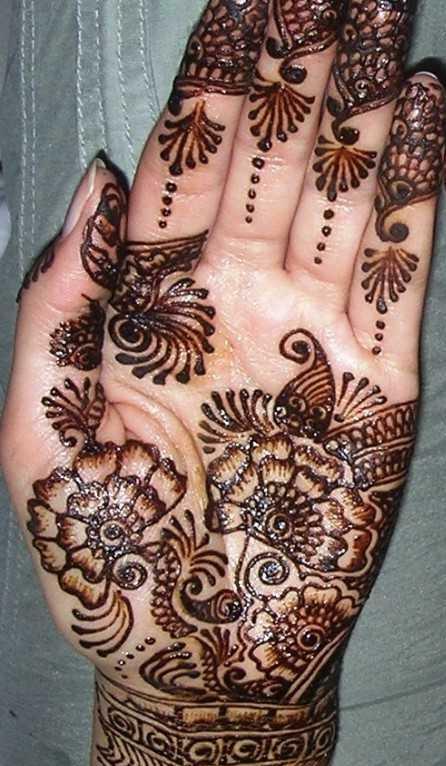 Mehndi or mehandi comes in different style, but the most popular designs are the Arabic mehndi designs. 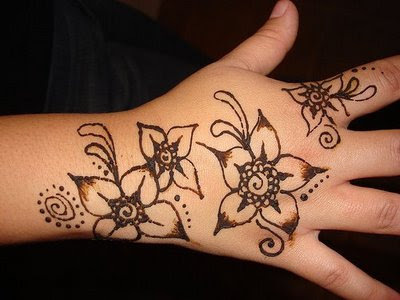 The Arabic style is different from the Pakistani or Indian mehndi as Arab women do not cover their entire hands and they integrate bigger flower into their designs whereas, women in India cover their entire hands with smaller floral designs as well as peacock, or elephant shape. In other words, Arabic designs are more style focus and not on filling the entire hands with intricate patterns. 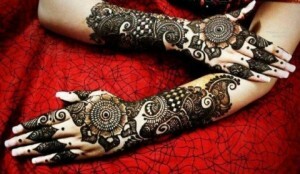 In fact, the latest mehndi designs are simpler so much that one can apply mehndi without assistance. The simplicity of the Arabic mehndi designs is perhaps the primary reason why lots of women prefer the Arabic style than the traditional or original mehndi designs of India. If you are wondering about the best mehndi designs, maybe one, two, or all of the samples in this post can help you. Keep in mind that women in Arab nations and other countries look forward to Eid Ul Fitr and other festivals because they can dress up in pretty looks and beautiful mehndi designs. Women who practiced the tradition of applying mehndi to celebrate an occasion consider the mehndi ceremony a wonderful opportunity to look beautiful. Mehndi also called Mehandi is an art, but unlike the typical art the canvass are the hands, feet, and body. The paint is made of powdered, dried leaves, when mixed with coffee, tea, lemon, and essential oils the texture can stain the skin. 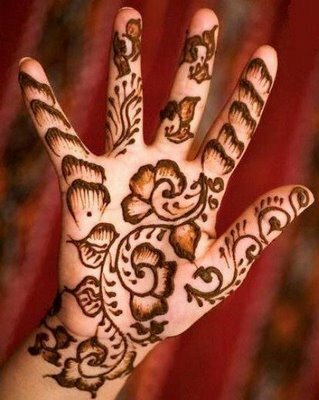 If you want to see cool Arabic Mehndi designs for hands, this is your lucky day as you have come to the right page. I have collected enough mehndi designs Arabic to satiate yours and anyone curiosity. 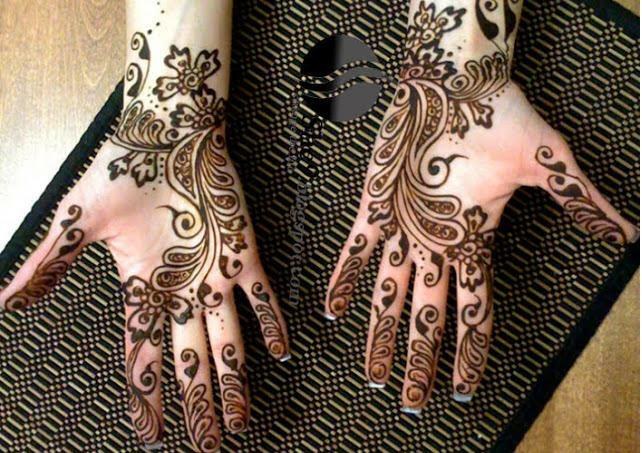 Many women consider applying Arabic mehndi designs for hands imperative to enhance their beauty especially on their wedding day. The arabic bridal mehndi designs can definitely make you even more beautiful on your special day, but it is best to choose a design that reflect your personality and style. 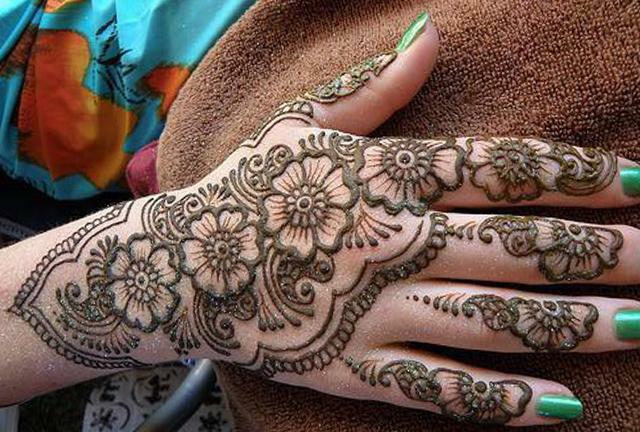 The latest Arabic mehndi designs are great for modern women. 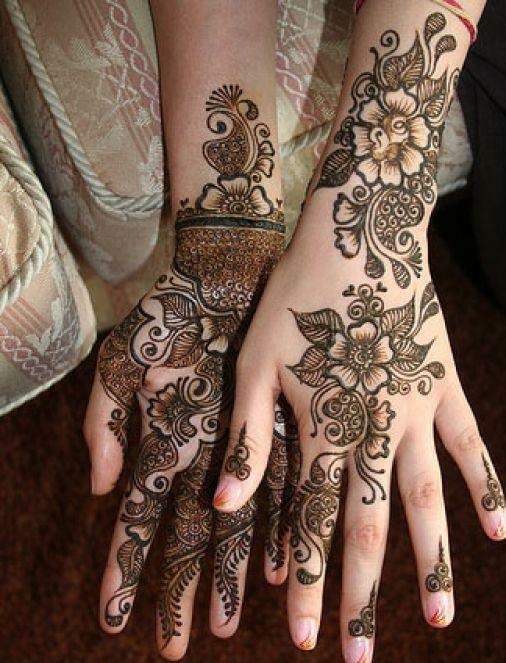 This is a lovely mehndi designs, perfect for special occasion. If you are looking for full hand mehndi designs arabic, this design is great for wedding and special events. This design is very easy to copy, you don’t need to be a skilled artist to pull off a similar design. This is super easy to do, anyone can do this mehndi design. 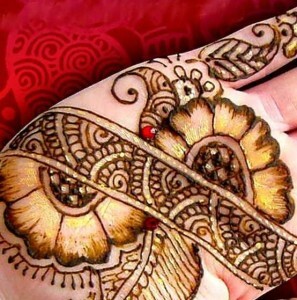 Mehndi originally comes from India. 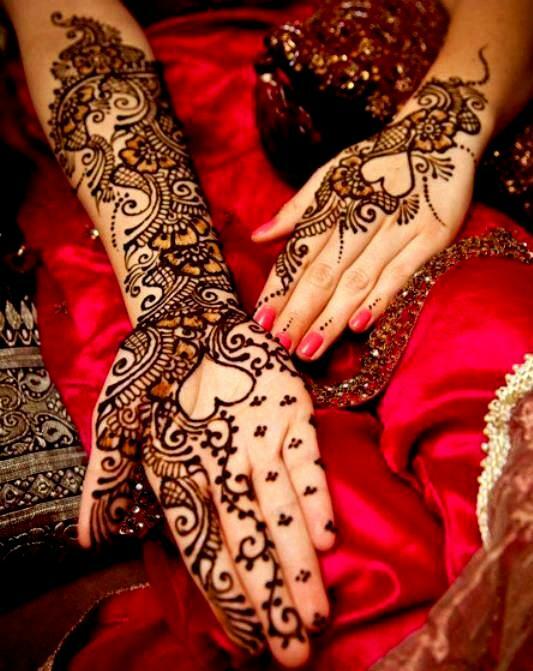 Women apply mehndi on their bridal shower, typically a day, or two before the actual wedding day or wedding ceremony. The brides as part of their, wedding tradition, get painted with Mehndi on both hands and feet. In some part of India, even the bridegroom also painted with awesome and elaborate Mehndi designs. By the way, many women in India also wear the Arabic style, especially those who prefer a much simpler mehndi designs for their wedding day. 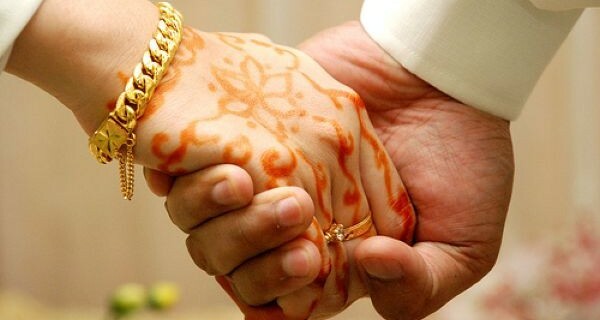 In Arab nations, a woman’s hands also painted with mehndi before their wedding day to look more beautiful as Arabic bridal mehndi designs acts as an accessory. When it comes, to choosing the mehndi designs or patterns the most important thing that every bride must remember is that designs and patterns must be for wedding celebration. There are wide ranges of mehndi designs from elegant wedding designs to royal designs as well as modern designs that you can use for your wedding ceremony. 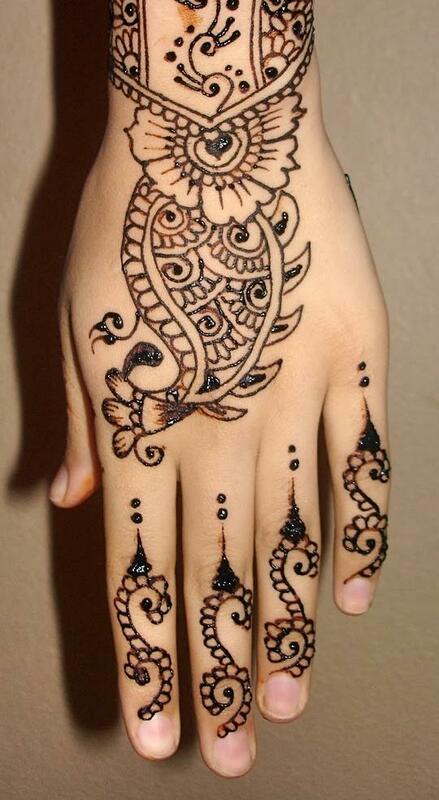 I like the intricacy of this mehndi design arabic, great work. Selecting the right designs can certainly make you, the bride looks gorgeous as mehndi designs can enhance the beauty, no doubt about it. 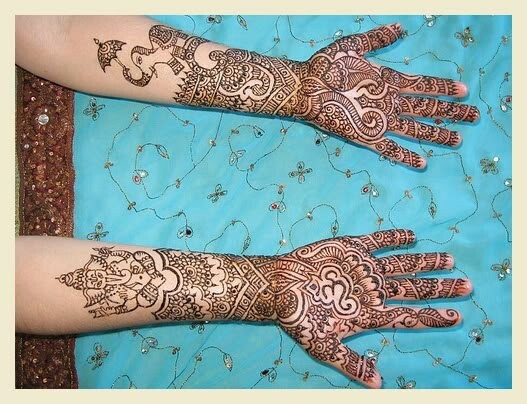 But of course, the bridal mehndi designs must also match the wedding dress. Once you have the best bridal mehndi designs the next step is to look for the best mehndi artist that will give justice to the patterns and designs you have selected. The best mehndi artists can make you look and feel beautiful on your wedding day. By the way, most of the artist offer wedding package aside from a wide range of bridal mehndi designs to provide customers with options suitable to their budget. The wedding packages usually include the mehndi application, the paste and other things required to apply the mehndi on the hands, legs, and feet. The cost differs according to the need of the bride and the intricacy of the design as well as the number of guests. There are numerous mehndi patterns for girls as each mehndi designs styled for different occasions such as wedding, Eid festivals and other special occasion. 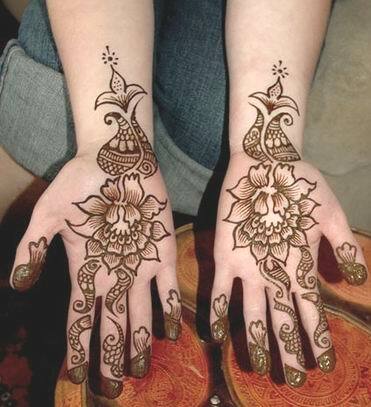 Girls often cover their hands with mehndi from hands up to the shoulders or full hands when attending a bridal shower. 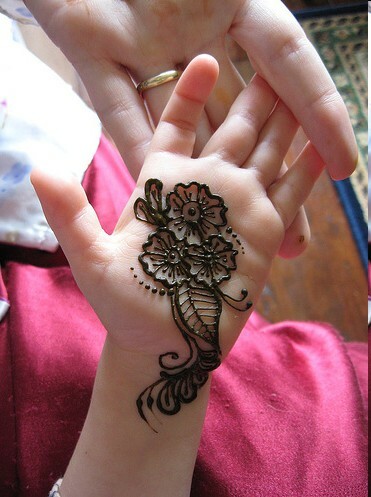 On Eid ul adha or Eid ul Fitr, most of the time girls just cover their hands with the arabic mehndi designs simple. Perfect for beginners, what do you think? 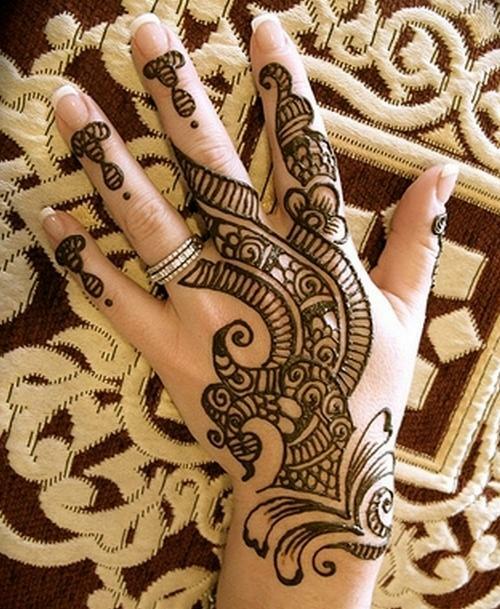 Arabic mehndi designs are popular across the world. 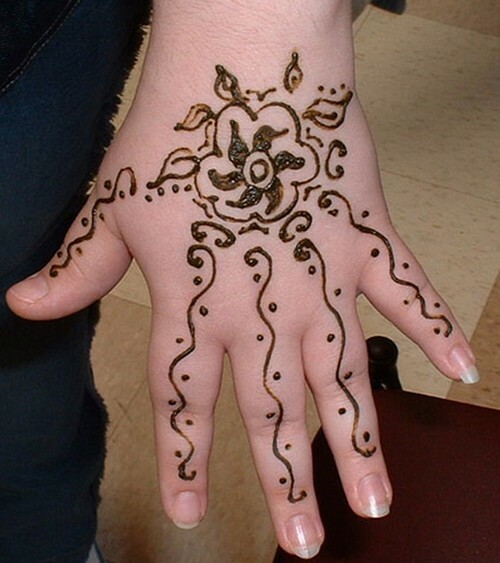 Mehndi designs are great for feet, hands, back, and legs. 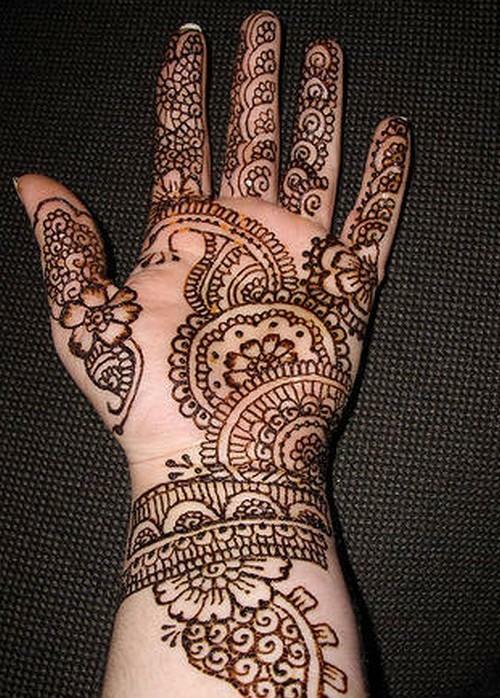 Mehndi is part of tradition and culture in countries such as India, Pakistan, and Middle East. 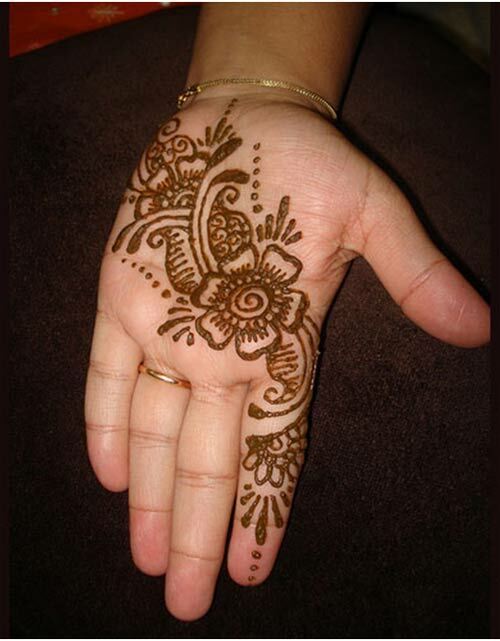 Mehndi designs are an essential part of the wedding ceremony. Many women, young and old adore mehndi, so it is no longer surprising that even small kids get decorated with the cute, playful and adorable mehndi designs. Kids of all ages’ also get painted on the feet and hands with flower, dolphin and peacock pattern. Small kids attending weddings or celebrating eids and other joyous festivals get decorated with beautiful mehndi designs on their skins. Come to think of it! 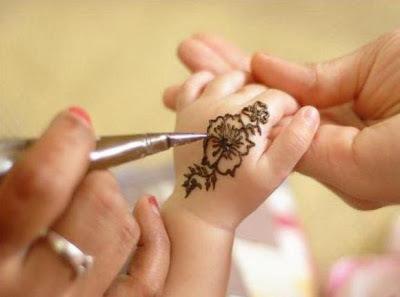 Their mothers also decorate even babies with Arabic mehndi designs so they can appreciate the art of mehndi early on. 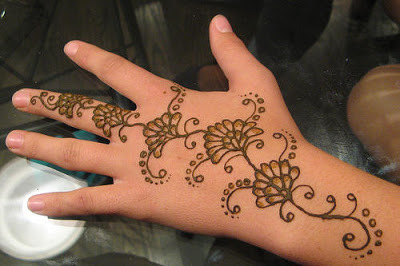 But of course, with kids the mehndi designs are simple as the purpose of the mehndi designs decoration is just for fun. So, don’t be surprised to see a baby with flowers, peacock or bee on their little hands. 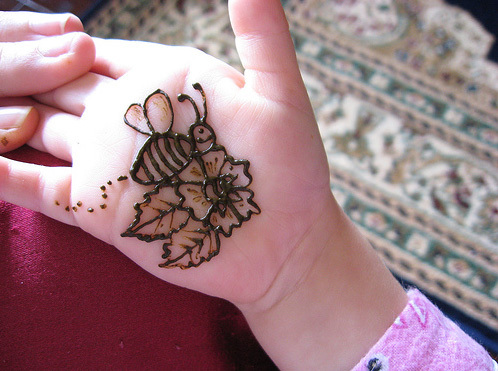 I bet my daughter will love this cute arabic mehndi design.